we're leaving for west virginia tomorrow. i still have tons to do to get ready—clothes to wash and fold, plants to water, lists to make, and things to cross off. 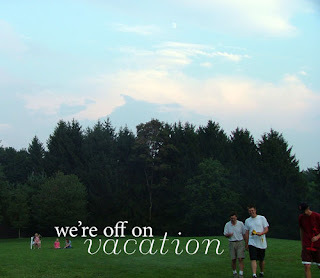 it should be a fabulous week of family and visiting, swimming, golfing, bubbling, and general fun and silliness. i can't wait!